Why do we need a freezer when we already have a refrigerator? Well, even though the refrigerator is good enough for cooling beverages and storing foods for several days, it won’t work for keeping sweet peppers and green beans from your garden for months, let alone years. A freezer can help you stock bulks of foods, freeze seasonal berries and jams, and store make-ahead meals. A freezer can be very convenient if you want to save money in the long run. However, when buying a new freezer, people usually get confused whether they should get a chest freezer or an upright freezer. Both styles of freezers are sold in various capacities, ranging from 5 cubic feet to 25 cubic feet. Even so, a chest freezer and an upright freezer of the same size may still have slightly different capacities. When choosing a freezer, you should consider your available budge and capacity need, also the product’s energy efficiency and conveniences. The freezer is one of those appliances that will be plugged 24/7, after all, so make sure that you choose an energy-efficient product. Below, we are going to see the comparisons between chest and upright freezers to help you choose. A chest freezer typically has a larger footprint than an upright freezer of the same capacity. This is because a chest freezer is designed in such a way that it expands horizontally. It opens upwards, so you can’t put things on the top of the freezer. On the good side, the lid is less likely to accidentally stay open. On the other hand, an upright freezer expands vertically, and opens horizontally like a door (which, unfortunately, may accidentally get stuck open). So, if the available space in your kitchen is very limited, an upright freezer will make your kitchen less cramped. You can put things on the top of the freezer. Still, make sure that there is enough clearance to open the door in front of the freezer. 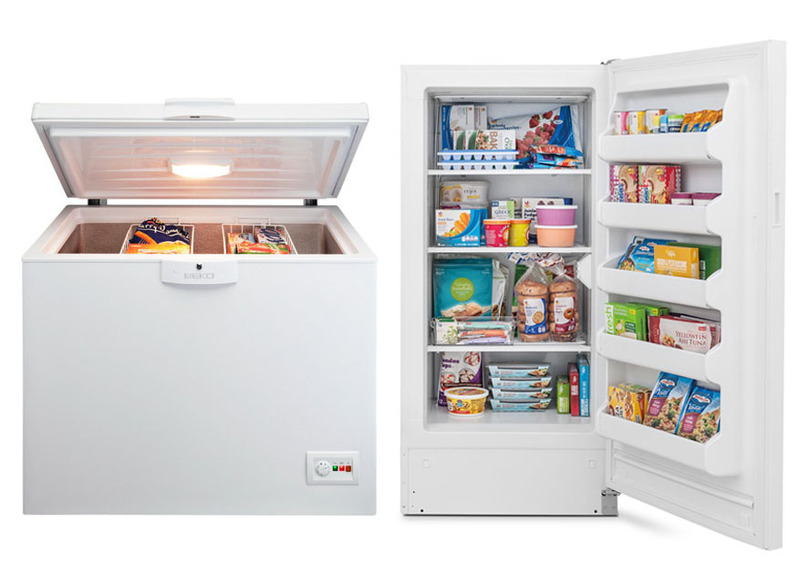 Even though both chest and upright freezers are available in various capacities, usually ranging from 5 cubic feet to 25 cubic feet, chest freezers are typically more spacious than the equivalent upright freezers. This is because a chest freezer usually doesn’t have bins or drawers. So, you can put large foods and meats easily inside. A chest freezer is a great choice if you are looking for a freezer that can contain your hunting results or garden products. However, chest freezers have a somewhat notorious reputation for being disorganized. Obviously, without any bin or drawer, you will have to pile things up inside a chest freezer. Sometimes you need to dig through foods to find what you need. Luckily, new models are now equipped with mini bins that sit neatly on the top of the freezer, allowing you to put small foods there. Some other models also come with larger color-coded drawers. On the other hand, upright freezers are known for being more organized because they come with bins and drawers. Putting things neatly is very easy with an upright freezer. You can easily group vegetables, fruits, and meats in different shelves. However, these bins and drawers indeed reduce the maximum capacity that the freezer can give. So, it will not be suitable for storing large meats and hunting results. You can indeed remove some of the drawers to make more room, if you really need to. A freezer needs to be defrosted, regardless of whether the freezer is a chest or upright freezer. Why? Every time you open the freezer, some air with moisture comes into the freezer. The low temperature levels freeze the moisture, creating frost on the sides and shelves. The frost continues to grow over time, and that is bad not just because it reduces the freezer’s capacity, but also because it reduces the freezer’s efficiency in keeping the foods frozen. However, most – not all – upright freezers come with the self-defrost feature. These freezers have heating coils and temperature sensors to prevent too much frost forming. On the other hand, most chest freezers don’t have the self-defrost feature, which means that you have to defrost them manually at least once a year or whenever the frost build-up has exceeded ¼” thickness. Manual defrosting can be quite tiring and time-consuming, though. Depending on the size of the freezer, manual defrosting may take a whole day. Prior to buying, you may want to make sure that the model you choose come with the self-defrost feature. Interestingly, chest freezers seem to have better lifespan than upright freezers. This may have something to do with build quality, but, if you want your freezer to last for several years without any professional repair, chest freezers are your best bet. Many upright freezers today may need to be professionally repaired after two or three years. 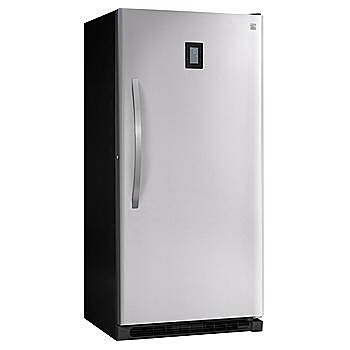 In general, you can find chest freezer at lower prices than upright freezers of equivalent capacities. This is a real factor to consider if you want to save some bucks. In addition, chest freezers are also generally more energy efficient than upright freezers. Being more energy efficient means lower, more affordable electricity bills. However, this is just the rule of thumb, because there are now many upright models that have been Energy Star certified, meaning that they will consume power efficiently and will not cause so much of an increase to your monthly bill. Chest freezers and upright freezers have different advantages and disadvantages, so this is quite a trade-off between the two. In general, if you need a spacious room in your freezer where you can put large garden products and hunting results, you should get a chest freezer. 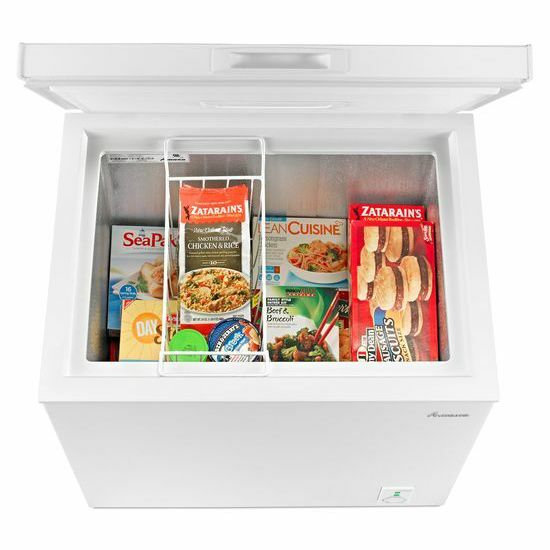 You may also want to choose a chest freezer if you want to spend as little money as possible and you don’t mind the large size and the minimum organization features. However, if you prefer something with a small footprint, convenient bins and drawers for organization, and perhaps the self-defrost feature, you should get an upright freezer.